The New Soft Lady is the new edition of the Soft Lady. The finely crafted blade made ? ?of special steel and the connection to the skid shoe match the quality we had hoped to by a product made by Balzer. The shoe is soft, warm and comfortable. Manufactured on a special ladies-strips the boot supports in a good padding of the ankle. Optimized fit through the Tiger Comfort Plus concept. The reinforced sole ensures optimal grip and is almost rigid. Anatomic foam insole with textile lamination provide pain-free walking. The breathable micro-mesh lining optimizes the climate in the shoe. The sophisticated lacing specifically the eyelets are very high quality. The position has been optimally aligned. The walk is through this lacing tightly enclosed, the force can thus be forwarded directly to the runner. 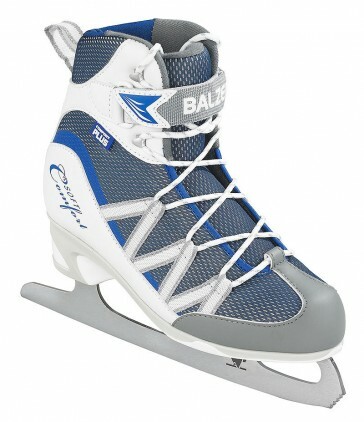 Women's ice skates should be ordered one size larger. Please take as a reference the shoe size you wear in your normal street shoes.